Last week, I wrote a blog called: 3 Things You Need to Know About Back Taxes. The big takeaway I wanted readers to leave with is: the IRS wants you to get into tax compliance! I think it is so important that I am going deeper into the topic with this post. Current tax compliance means you file any unfiled tax returns and you start making tax payments sufficient to cover any future taxes. Haven’t filed this year’s return – file it! Self-employed and not making estimates – get started! Not withholding enough from your paycheck – fix it! The IRS’ philosophy is simple. Taxpayers who stop the cycle of non-compliance and non-payment often stay out of trouble in the future. So getting current on your taxes is to the IRS more important than immediately dealing with your back taxes. This may seem backwards to you but the IRS is so serious about it that any offer you make to resolve your tax debt is going to be DOA if you are not in tax compliance. How to get into tax compliance with tax returns. Let’s start with filing tax returns first. You need to file any unfiled tax returns for the past six years, in addition to the current tax year. For example, if you haven’t filed all of your returns in 2018, the IRS is looking for you to file 2017 as well the last six tax years: 2011 through 2016. Now if you cannot pay any taxes due that is ok. You may be able to wrap up those old tax debts into whatever plan you are working on to resolve your tax debts. The key here is to get those tax returns filed. What if you don’t have good records to prepare those old returns? Good question. The answer is that you do the best you can. A good tax professional knows methods to reconstruct old tax returns. In certain cases, the IRS will accept estimates where accurate records are lost or not kept. 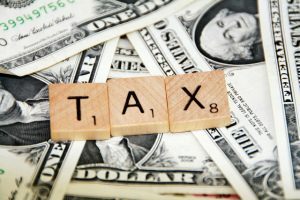 Caveat – if you are working with the IRS to resolve your tax debts, you may be required to pay your current tax liability in full when you file your tax return. Tax returns that come due after you start working the IRS are required to be filed on time and paid in full. I am self-employed, what else do I need to do to get into tax compliance? Self-employed taxpayers need to pay estimated tax payments. Estimated what?! You may have not been aware of it but you are legally obligated to make quarterly estimated tax payments. Whether you knew it or not, the IRS is going to insist you make your estimated tax payments in full and on time. If you don’t get on top of your estimated taxes, you are never going to get a resolution for your tax debts. I don’t have the space to explain in detail estimated taxes. You should contact a reputable tax preparer or accountant to help you figure out what your estimated tax obligation. It may cost you some money but it is well worth it. You might even get some advice from the preparer or accountant on how to reduce your taxes which is going to shave your estimated tax obligation. I am an employee, what else do I need to do to get into tax compliance? If you are an employee, you are in a better position than if you are self-employed, as you are not required to make estimated tax payments. That doesn’t mean you are in the clear. Check with your tax preparer to make sure you have enough money taken from your paycheck. If not, file Form W-4 with your employer to increase your withholdings. What if I want to pay some money towards my back taxes? Another good question. If you have the money, make sure your current taxes are paid and you are well on the way to paying any future taxes due. It makes no sense to pay back taxes before getting into current tax compliance. Get current first before paying any back taxes. In summary, tax compliance requires filing your current year tax returns (and any old returns for the last six years) as well as making sure you have paid in enough taxes to avoid a balance due for future years. No current tax compliance, no deal regarding back taxes. As I said before, it may seem backwards but the IRS wants you to stop the bleeding before dealing with your old taxes. If you do what I have laid about above you will be well on your way to resolving your back tax debt. My firm helps taxpayers in trouble. If you or someone you know in the Greater Portland Area of Maine has a tax problem, please feel free to contact me directly at 207-299-0515 or by filling out my contact form. I can walk you through the alternatives and explain how to get into tax compliance.